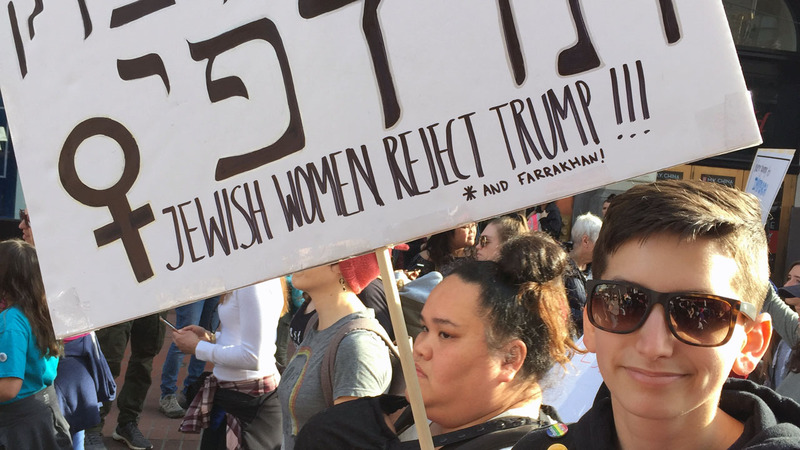 Many Jews ready to hit streets at Bay Area Women’s Marches, despite controversy – J. Despite festering charges of anti-Jewish bias directed at national Women’s March leadership, local march organizers have made a point of publicly condemning anti-Semitism, warmly welcoming Jews into their ranks and urging them to take to the streets this Saturday Jan. 19, in the Bay Area Women’s Marches. Northern California march locations include Oakland, San Francisco, San Jose, Sacramento, Pleasanton and Walnut Creek. Scores of similar marches will take place across the country on the same day, including the third annual national march in Washington, D.C. The letter was written after organizers met with several key Jewish community leaders, including Jewish Community Relations Council executive director Abby Porth, Rabbi Noa Kushner of The Kitchen, Amy Berler of the Jewish Women’s Fund, JCC of San Francisco board member Susan Lowenberg and CEO Marci Glazer. Glazer will be one of the featured speakers at the rally preceding Saturday’s S.F. Women’s March, which starts at 11:30 a.m. at Civic Center Plaza. 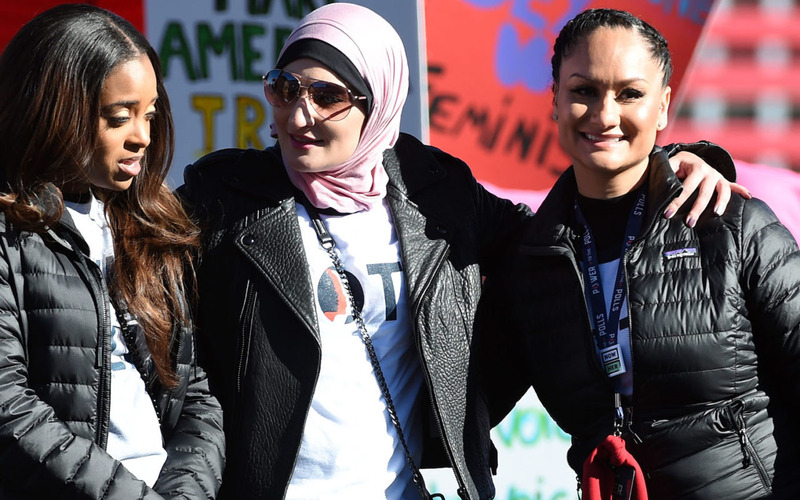 The need for such public statements arose after months of criticism directed at two national Women’s March leaders — Linda Sarsour and Tamika Mallory ­­­­— who each have made multiple incendiary statements about Jews, Israel and Zionism. The controversy was enough to compel the Democratic National Committee to drop its partnership with the national Women’s March. We seek to empower women and equity-minded warriors … and we share your values of diversity, equity and inclusion. The Jewish News Syndicate reported that in recent weeks, other progressive groups have yanked their support from the march because of the controversy, among them the National Council of Jewish Women, the Southern Poverty Law Center, the American Federation of Labor-Congress of Industrial Organizations, the Human Rights Campaign, Greenpeace, Children’s Firearm Safety Alliance, Coalition Against Gun Violence and Moms Demand Action for Gun Sense. In a Jan. 14 interview with the Israeli paper Haaretz, renowned Jewish history professor and author Deborah Lipstadt blasted the Women’s March leaders for “a repeated pattern of ignoring the fact that Jewish women face a particular kind of prejudice of anti-Semitism; suggesting that maybe anti-Semitism wasn’t really that serious; and affiliating with a known anti-Semite, Louis Farrakhan, who called us termites. 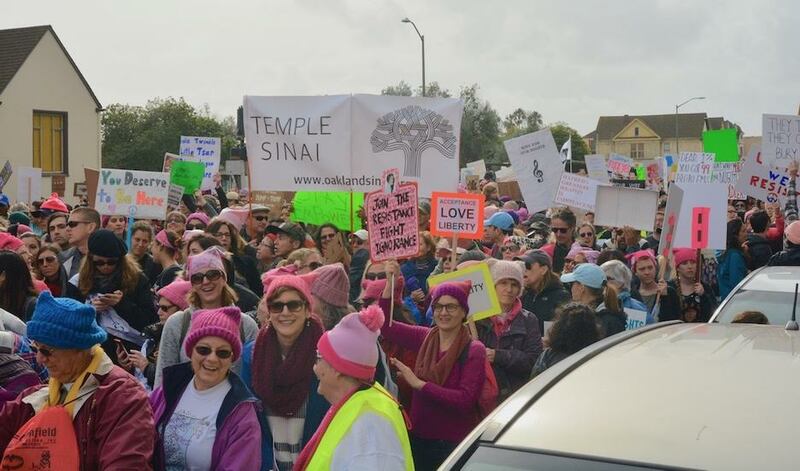 Rabbi Chai Levy of Congregation Netivot Shalom in Berkeley said some of her congregants were concerned about anti-Zionist statements coming from national Women’s March leaders. Ultimately, because her synagogue is Shabbat observant and because “there didn’t seem to be enough interest,” she decided not to organize a contingent to attend the march. But she did encourage her congregates to decide for themselves. 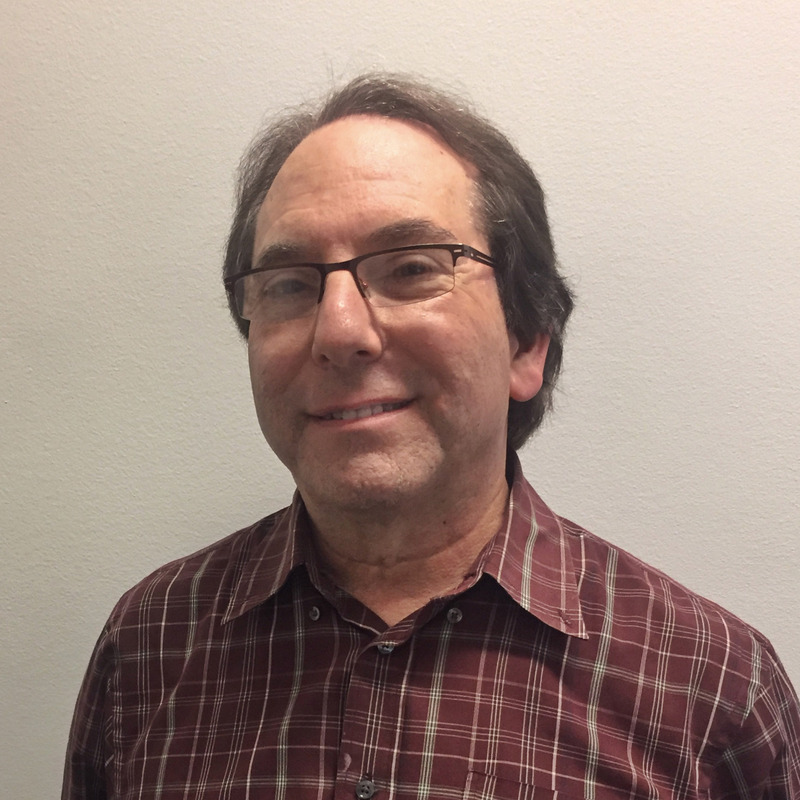 In fact, Netivot Shalom member Leili Davari will be a speaker at the Oakland Women’s March on behalf of Bend the Arc. Sarsour and Mallory recently met with a group of liberal rabbis in New York in an effort to heal the wounds. 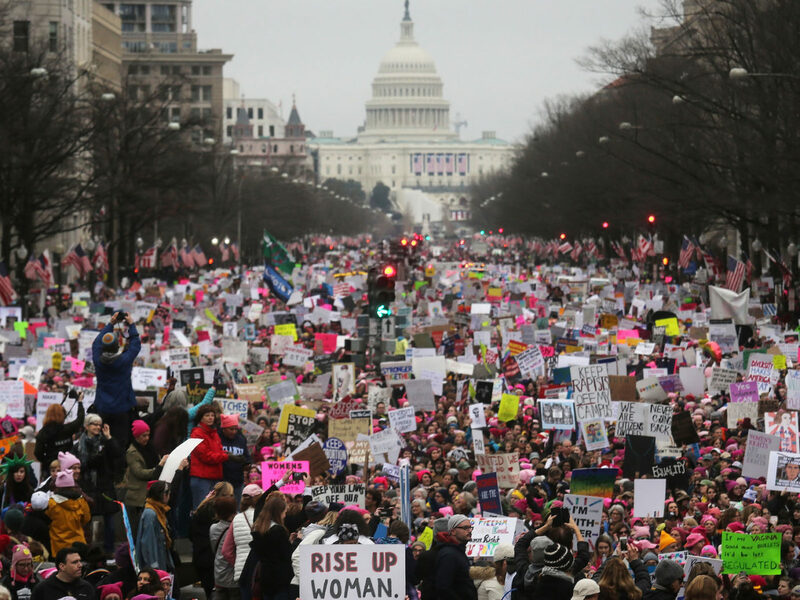 Ultimately the rabbis endorsed the Women’s March, saying in a follow-up letter they had engaged in “frank discussions about the issues that are dividing our communities.” Though the letter acknowledged that differences remained, it encouraged members of the Jewish community to attend the marches. There was plenty of comity in the Bay Area. Glazer said she was impressed by the words and deeds of the S.F. march organizers, which is why she is eager to participate. 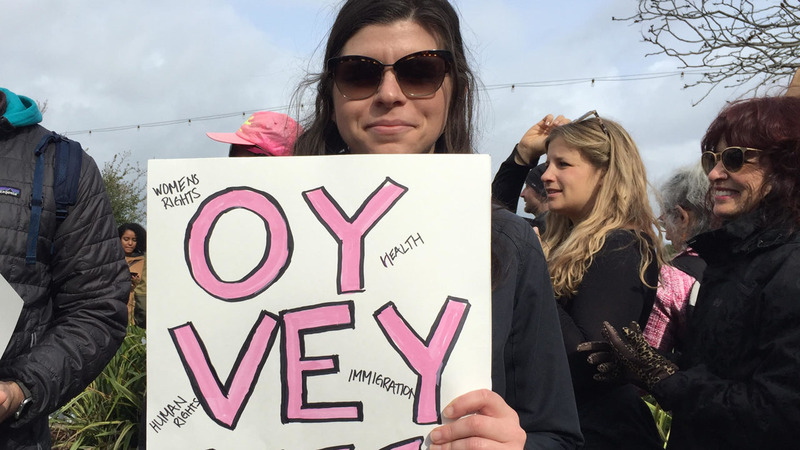 Other prominent Bay Area Jewish women have signed on to the march. Updated to more accurately reflect Rabbi Chai Levy’s thoughts about the Women’s March controversy.